A New York-based marijuana investment company used cash and its Canadian-listed shares to fund a $48 million acquisition of a licensed medical marijuana business in Florida. iAnthus Capital Holdings, an investor in U.S. marijuana businesses, bought Florida’s GrowHealthy Holdings for $30.5 million in stock and $17.5 million in cash. GrowHealthy and its affiliate, McCrory’s Sunny Hill Nursery, hold one of the state’s 13 medical marijuana business licenses. The deal gives iAnthus a toehold in what is expected to become one of the nation’s largest MMJ markets. The company trades on the Canadian Securities Exchange as IAN. 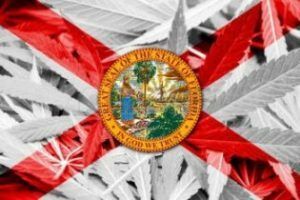 Randy Maslow, president and co-founder of iAnthus, said the $48 million transaction is the largest M&A deal in Florida’s cannabis sector to date. “Florida is the big prize,” he told Marijuana Business Daily. “The reason we love Florida is you can open up to 25 dispensaries immediately, dwarfing any other medical state, and the demographics are phenomenal. GrowHealthy spent close to $20 million to complete its 200,000-square-foot facility in Lake Wales, according to Maslow. And, within that structure, Maslow plans to establish cultivation space as demand increases. The facility currently houses 4,000 square feet of canopy that produces 500 kilograms of medical marijuana per year. Construction of GrowHealthy’s flagship Palm Beach County dispensary is expected to be in operation by July. The company also is working on leasing arrangements for dispensaries in Tampa and Orlando. They are planned to open in the third and fourth quarter, respectively. Personally, I am planning to move to FL this year for work in these opportunities, Looking forward to a Southern MJ Market. Financial valuation based upon an immature market with 13 competitors competing for a equal share of patient base spending an average of $3k annually (simple Comp) after costs of capital, construction, operations, compliance, COGs, risk … 1/3rd cash . 2/3rds stock deal taking a substantial dilution on the chance that the FL market may become viable? Guess they had to do something with their money but … ? Remember the California Gold Rush from 1848- 1854, they sought gold where most thought they would fail. Most cannabis stock will soar to record-breaking heights in the next 10 years. It’s a time to invest. Watch Aurora Cannabis, it has soared in the last six months. The cannabis stock market will be one for the books.